Mr. Media is recorded live before a studio audience that includes the Reverend Arthur Belling, Cardinal Ximinez, Cardinal Fang, Cardinal Biggles, D.P. Gumby, Mr. Eric Praline, Mr. Nudge, and, of course, Kate Middleton… in the new new media capitol of the world… St. Petersburg, Florida! Oh, so many of you! Well, you’ve come to the right place. 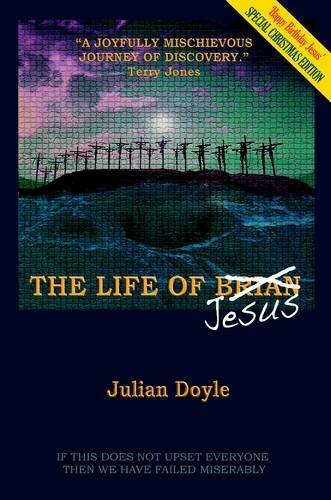 Joining me today from London is the author of The Life of Brian, er, I mean, The Life of Jesus, Julian Doyle. Doyle is not your usual commentator on matters of the Christian church and the man for whom it is named. Instead he is the long-time editor of Monty Python films such as Monty Python & The Holy Grail, Monty Python’s Meaning of Life, Jabberwocky, Time Bandits, Brazil, Wind in the Willows, and the film that brought us all here today, Monty Python’s Life of Brian. 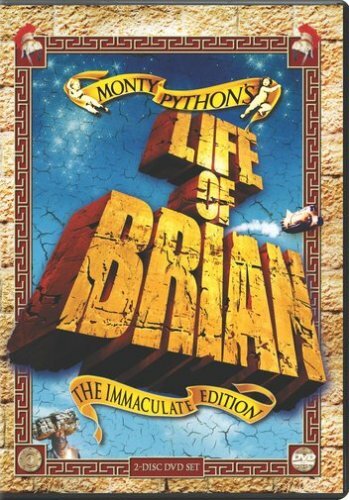 Order Monty Python’s Life Of Brian – The Immaculate Edition, available from Amazon.com by clicking on the DVD cover above! Doyle’s book, The Life of Brian Jesus, walks two paths; primarily it examines similarities between the Python film, the Holy Bible and what is actually known about the life of Jesus Christ. But it also offers several intimate glimpses behind the scenes of the 1979 film, Life of Brian. Is The Life of Brian Jesus for every Python fan? Probably not, as it raises all kinds of questions some loyal Christians might not care to consider. And it’s only a Python book in part, so if you’re looking for a funny memoir of “Flying Circus” days, don’t expect as much of that. But if you’re that rare individual who can handle having your religious beliefs questioned and still practice daily for a position in the Ministry of Silly Walks, step right up!